Celebrity Angela Simmons first fashion show for Angela I AM. Vogue upcoming designer Long Tran Fashion show. 1. She gets up each morning and follows through with her commitments despite how she feels. Her feet are firmly positioned into the day’s tasks. 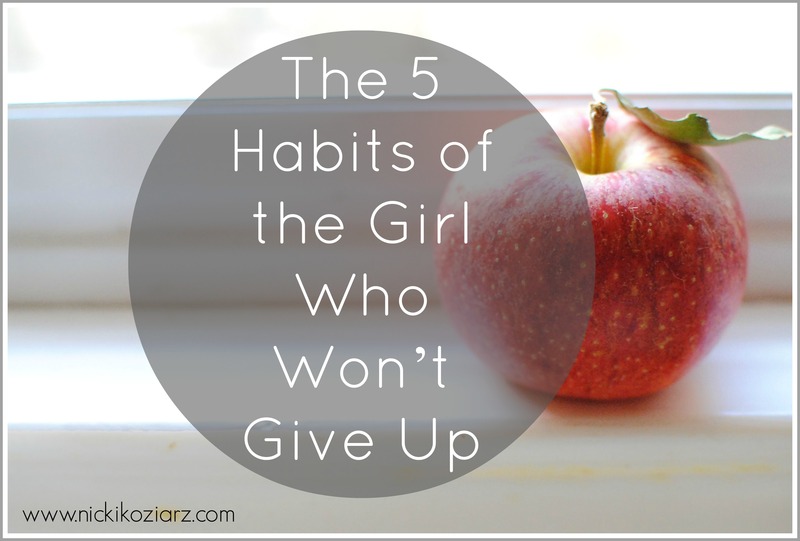 While quitting may seem like an option she refuses to become someone others or God can’t count on. Her heart understands that she must be found faithful in the small steps to be trusted with the big steps. 2. She approaches the Word of God with reverence. She opens God’s Word and believes each day He has something to speak to her about. There’s no questioning spirit when a friend texts her a Bible verse. She listens to sermons and teachings and doesn’t think of the friend who needs to hear that message, she knows there’s something there just for her. 3. She longs for the grace of refinement rather than the grace of relief. She doesn’t have a personal agenda to fulfill when she faces steps of refinement. In fact, she longs for the grace of refinement rather than the grace of relief because she trusts the process of refinement. She accepts the perspective godly people offer her in difficult situations. And she embraces the process of becoming better through her mistakes. 4. She chooses to infect the world with joy. Though life seems to frequently dump on her, she chooses to not dump on others. In fact, she thrives on being emotionally generous towards others. The spirit of generosity that oozes through her infects joy into a seemingly miserable world. As a result, when darkness seems to gloom over her she can easily shoo it away by giving joy. 5. She has a spirit of unbreakable determination. The girl who doesn’t give up. Jesus, please let this be me. Did you know that 1 in 3 children in the United States faces a future with diabetes? The American Diabetes Association works everyday to change the frightening future that diabetes has in store, but we need your help. Together we can stop diabetes. Take the first step today by registering to walk in our local Step Out: Walk to Fight Diabetes event. 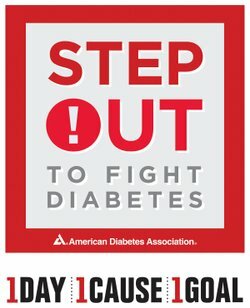 Every step you take and every dollar you raise helps the American Diabetes Association provide education programs in our community, protect the rights of people with diabetes and fund critical research for a cure. Once you register, use our online fundraising tools to create your personal web page, email your friends, family and co-workers, accept online donations and raise more money to stop diabetes. It's more fun to Step Out together! Gather your friends, family and co-workers and form a Step Out team! It's a great way to do good together and share in a fun and healthy community experience. Teams come in all sizes—two or more people make a team! Corporations, friends & family, clubs & organizations and school groups build teams to walk for those who have been touched by diabetes. Get started today by selecting "Form a Team!" 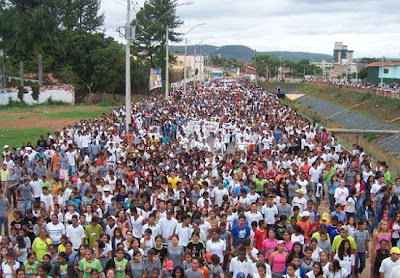 When you walk, you help us stop diabetes. Walking is one of the easiest, most relaxing forms of exercise for many people, but especially for those living with diabetes. By participating in Step Out: Walk to Fight Diabetes, you can get fit, reduce your risk for type 2 diabetes and support the American Diabetes Association! Performers will entertain you along the route, while volunteers provide water, fruit, words of comfort and appreciation for making a difference in the fight against diabetes. Sample sponsor products, educate yourself about diabetes and engage young people in the Youth Zone. We expect well over 3,000 walkers, their supporters and our dedicated volunteers to join us at this year’s event which will culminate with a free live concert performance at the Seaport from 12:00 - 3:00 PM. Either way, your support is critical in helping us raise money to help provide crucial information about diabetes care and prevention, giving a voice to the over 1.2 million New York City residents who are affected by diabetes. 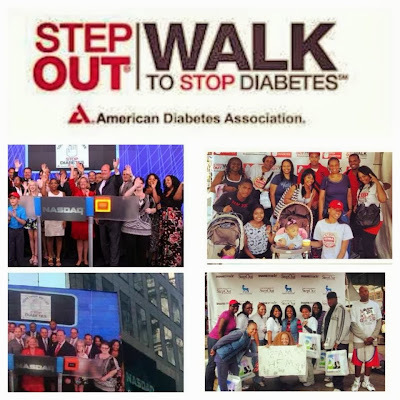 The NYC Step Out For Diabetes Walk - much more than a walk – it’s an Experience!